Put the word “Paleo” in quotes there because technically alcohol isn’t Paleo. But really, if you have more than one small child (or honestly even just one small child), you too will understand our sentiment – some nights just call for a drink. A stiff one. I read today that 4-year-olds ask an average of 437 questions each day. Each day. That statistic has got to be true, I have a child that can prove it. And sometimes it feels like only 37 of those questions were unique – the other one was the exact SAME question asked 400 TIMES. Ok, I’m digressing. Mostly, it has been awhile since you guys got a good alcoholic beverage recipe on here… (If you missed the past ones, try our Whiskey Sour or Bourbon + Bubbles). This little drink has become our favorite in the past few months. 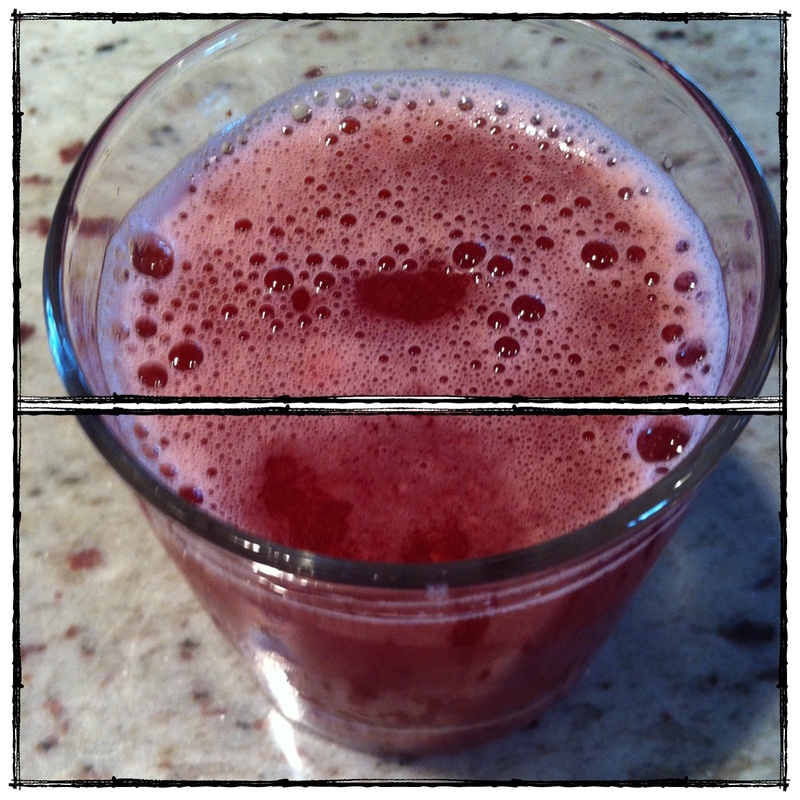 When husband and I did super strict Paleo challenge where alcohol consumption wasn’t allowed, we cheated one day a week and made this drink… I know, I know. We are failures for cheating, but really – 5 drinks in 5 weeks wasn’t too bad given the number of questions we were fielding each day from a certain child. So famous Paleo Nutritionist, Robb Wolf came up with this recipe… He has lots of scientific reasons why this drink is his drink of choice when it comes to alcohol, which you can read here (scroll down to page 26 of the transcript). We think that stuff is cool too, but mostly we think it tastes good. Really good. Hope you all enjoy it too. 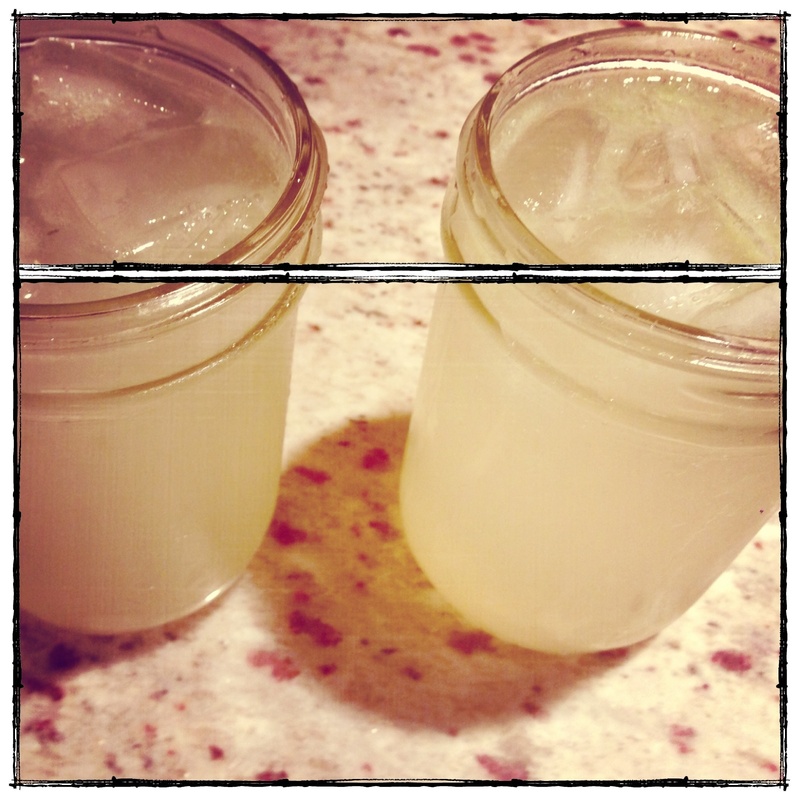 Oh, and did you know that most margarita mixes contain gluten? Since you will be mixing this up from scratch, and since tequila doesn’t have gluten, you will be drinking a gluten-free margarita. If you’re into that. Top off glass with soda water. Give it another quick stir. Drink. 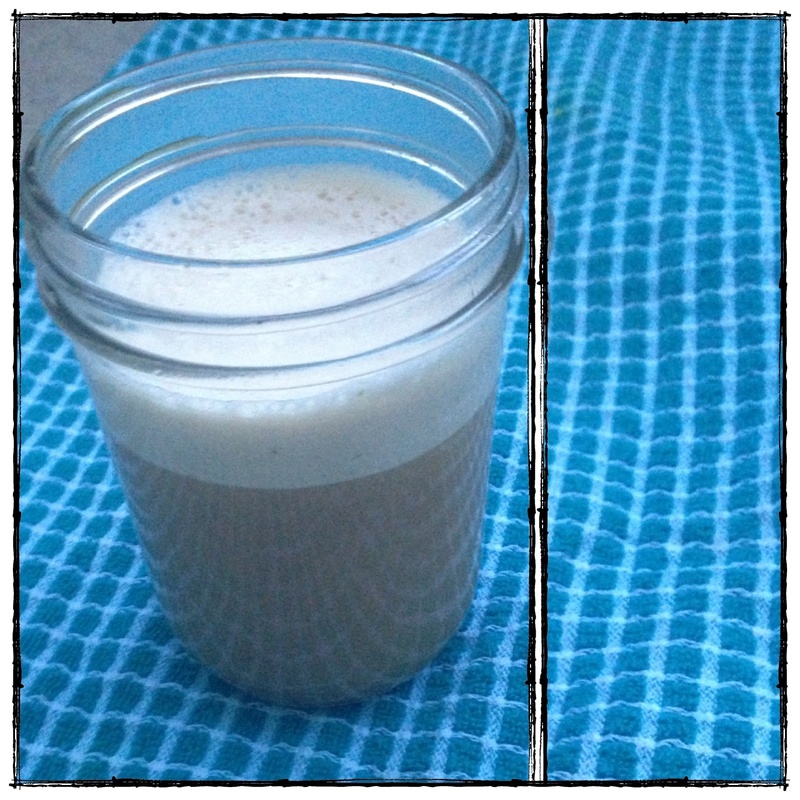 I really am not sure why this particular drink is called “bulletproof coffee” but it sounds kinda cool at least… Been hearing about this drink and seeing it popping up on my Pinterest, and thought I would give it a try. There is a good chance I will never drink my coffee any other way. For starters, it is seriously delicious. It is creamy and rich tasting, and gets this amazing foam layer on the top, which never happens when I just pour milk into my coffee. Second, because of the coconut oil, it is full of healthy fat. I know, I know. Some of you still don’t think fat is good. The right kind of fat is. I promise. Read more about it here…. Coconut oil improves heart health, supports your immune system, promotes weight loss, boosts thyroid production, protects the liver from toxins, and is incredibly filling. I know it also seems weird to put butter in your coffee, but again…. the right kind of butter is good! We use organic butter, from grass-fed cows. It is an anti-cancer agent, muscle-builder, high in antioxidants, and an immunity-booster. Because I truly believe in the amazing things coconut oil can do for your health, I try to incorporate a few tablespoons of it each day into the diet of my family. Whether I fry veggies or meat in it, use it in baked goods, mix it into kids eggs, put it in a smoothie, or put it in my coffee I am always grabbing it and using it in something. I love starting my day knowing I am getting a good amount of this amazing, beneficial fat in my system. Without further ado, go make some bulletproof! Oh, and PS. Most Paleo circles will approve the use of a high-quality butter, even though technically it is dairy. Optional: Some pure vanilla extract or honey would be super yummy if you are looking for something a little sweeter. I don’t add anything as it is rich and creamy as is, but you can experiment! 1. Combine all ingredients in food processor with metal blade attachment (blender would probably work, too). 2. Turn it on and let it go for about 20 seconds, or until butter and coconut oil thicken and coffee becomes light brown in color. 3. Pour it back into mug. Drink. So good. And so energizing. Here we go with the Bourbon again. What can I say? Only this time it is better because I’m adding champagne to the mix. Bourbon and champagne? Oh man. Yes please. Went to this new Whiskey bar in Ballard with my CrossFit ladies, and ordered something similar to this. I’ve since recreated it, so that I can enjoy it without paying $9. Per drink. And you can bet I consumed more than one of these puppies. 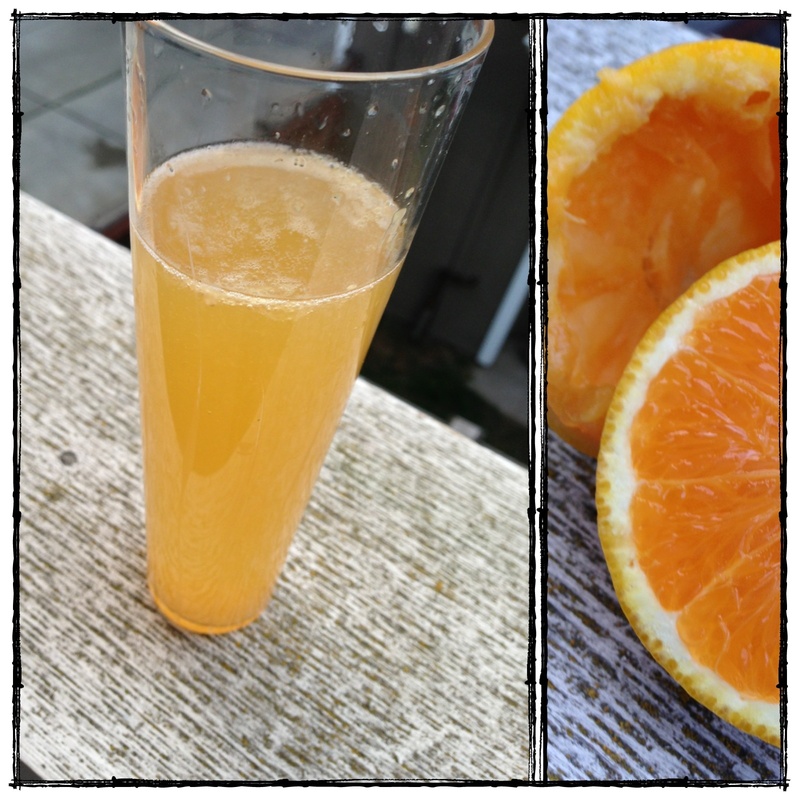 I love everything with bubbles, and I hope you enjoy this drink too! Oh, and I wasn’t drinking alone. I promise. Husband just wouldn’t give his up for a photo. PS, aren’t my champagne flutes beautiful? Love my aunt Michaela for sending those to me! 3. Pour evenly into two glasses, and top off with champagne. Wasn’t that easy? gym again. Next time, I’m gonna push even heavier weight overhead. Strong IS the new skinny, right? Anywhoooo…. in an effort to help around the house and allow me to “rest” (as if that’s possible as a stay-at-home mama of 2), my husband has been cooking at bit. You guys. The man’s got some tricks up his sleeve. Today he took last nights salmon and put it in an omelette with some goat cheese. SERIOUSLY? Salmon and goat cheese omelette?? Be still my heart…. well, more like my aching ribs. More on that omelette later. I scarfed it down so damn fast I have no picture to document its glory. Nor do I know how he made it. But I’ll ask him, and I’ll share it with you soon. In the meantime, I’m dreaming of drinking this again. Too bad cherries aren’t in season…. BUT, until next June when we start seeing those amazing Washington cherries again, I’ll be drinking this without the cherries. Trust me. This Whiskey Sour is amazing! Thanks to Evan’s husband Justin for creating this drink! 1. In a cocktail shaker filled with ice, mix lemon, bourbon, and syrup. 2. Shake. Pour. Drink. Repeat. 3. If you can get your hands on some cherries, smash em up and add to the cocktail shaker. Pour. Drink. Repeat. were consuming everyday and I honestly can’t believe what we were putting in our bodies when there was a natural alternative that has proven to be just as effective. Maltodextrin, artificial orange flavor, aspartame, and yellow 6. Lemon water is proven to aid in digestion, naturally remove toxins from your body, assist with weight loss due to the naturally occurring pectin fiber, boost your immune system, and even help with clearer skin! It’s amazing what this fruit can do! 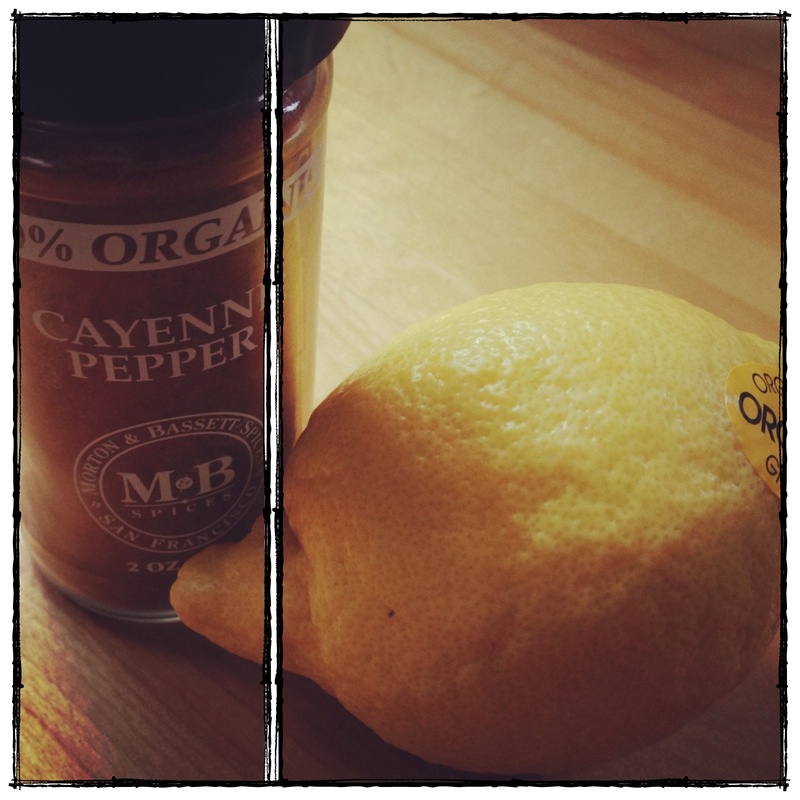 When combined with cayenne pepper, you’re increasing the detoxing effect and jump starting your metabolism. Ehren and I committed about 4 months ago to drinking lemon water first thing in the morning, every morning on an empty stomach. We have missed a few days here and there due to poor grocery planning, or staying at someone else’s house and forgetting to bring our lemons, but for the most part we’ve had this drink every morning. And you should, too! 1. Combine all ingredients, stir, and drink first thing in the morning. We drink it through a straw so our teeth aren’t exposed to the citric acid. Also, I use 1 lemon for us both, so just 1/2 a lemon’s juice for each, but feel free to use an entire lemon. **Adapted from Food Babe. Thanks for first teaching us about this amazing drink!